Charles (Chuck) Triblehorn, beloved husband, father, and grandfather died at the age of 79 in Durham, NC, with his wife and two sons at his side. Triblehorn, a proud New Jersey native, spent his first 65 years in the Garden State before moving with his wife, Nancy, to North Carolina following retirement in 2005. Chuck and Nancy married in 1965 and celebrated 53 years of marriage in June of last year. He was a newspaperman for 35 years, including holding a number of editorial management roles for New Jersey newspapers. A St. Peter’s (New Brunswick) high school graduate and a two-sport athlete in baseball and basketball, Triblehorn received his BA degree in journalism from Rutgers University in 1961. He would remain an avid Rutgers sports fan for the rest of his life. Following his graduation, Triblehorn served in the US Army reserves with active duty in 1961 and 1962 and was honorably discharged in 1967 with the rank of sergeant. He did post-graduate study in public relations while on active duty at Fort Bragg NC. 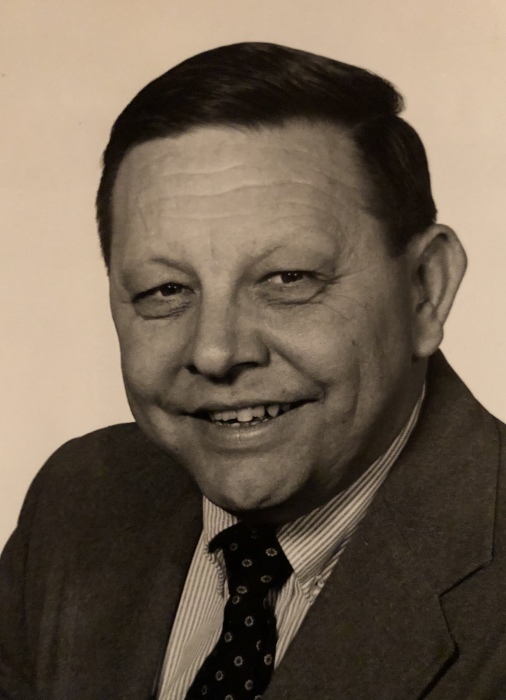 Triblehorn’s newspaper career began in 1962 as Sports Editor at the Sentinel Publishing Company in East Brunswick and continued with his promotion to Editor, a position he held for almost 5 years until he relocated to Red Bank, NJ to become Sports Editor of the Register. From 1967-1976 he oversaw extensive coverage of New Jersey interscholastic sports as well as marquee sporting events such as the 1969 and 1973 World Series and high-profile boxing events. In 1976, Triblehorn was promoted to founding Editor of the newly established Sunday Register, a breakthrough for local newspapers at the time, and remained in that capacity until late 1985. Later, he spent over two years with the Asbury Park Press in management positions before returning to the Register as Executive Editor for several years. Triblehorn spent the final 14 years of his career as Editor of Ocean County’s Observer in Toms River, NJ, a period that saw the local team win the Little League World Series. He served as Chairman of the NJ Press Association News/Editorial Committee and President of Associated Press Managing Editors. Triblehorn was very active in the state sports community for his entire career and was a member of the NJ Sports Writers Association starting in 1969, serving as its president for six years from 1977-1982. For 20 years, he was the press coordinator for the NJ State Interscholastic basketball tournament. He won a number of professional awards for writing and editorial excellence including the Jerry Casale Memorial award for service to the sport of boxing and the NJSIAA sports service award for public relations. He was a member of Signa Delta Chi professional journalistic society. In the community, he was a long-time youth baseball coach for the River Plaza Boys Club, where he coached his both of his sons’ teams for a number of years. He was a die-hard baseball fan and loved the New York Mets and would talk endlessly about his passion. He often mentored young writers and judged contests and embraced the opportunity to speak to youth and mentor them about their aspiring careers. He was sincere, honest, loyal, and generous with his time. After retirement, he settled in Wake Forest, NC, and enjoyed spending time with his family. He took great pride in watching his granddaughters grow from toddlers into teenagers, excel at school, and enjoyed attending their sporting events. He is survived by his wife Nancy Schultes Triblehorn(Wake Forest, NC), son Douglas "Doug" Triblehorn and daughter-in-law Sondra (Wake Forest, NC), son Dr. Jeffrey "Jeff" Triblehorn(Charleston SC), and granddaughters Lexie and Laynie (Wake Forest, NC). A Mass of Christian Burial will be held at ­­1 o’clock, Friday, January 25, 2019 at Saint Catherine of Siena Catholic Church, 600 West Holding Avenue, Wake Forest, NC. Inurnment will follow in the Saint Catherine of Siena Memorial Garden. In lieu of flowers, memorial contributions can be made to The V Foundation for Cancer Research, 14600 Weston Parkway, Cary, NC 27513.